If you’ve been experiencing difficulty falling pregnant naturally, you’re not alone. One in six Australia couples have issues with infertility. What is more comforting, however, is that Dr Andrew Kan’s success rate in overcoming fertility issues is one of the highest in Sydney, and he also has the highest level of Reproductive Endocrinology and Infertility qualifications (CREI). 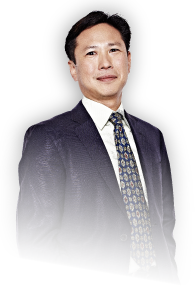 Dr Kan understands that many patients prefer the least invasive and most natural treatment options, and has great success in starting with this approach, especially in younger patients. When you first meet with Dr Kan, he’ll begin with investigations to determine if there are any issues such as blocked tubes or sperm quality. At every stage you’ll be involved in the decisions regarding your treatment, because he knows how important it is to build trust and confidence in the journey ahead. If you are in your 20s or early 30s with unexplained infertility, he will then advise on specific techniques for conceiving naturally, including timing and adopting a healthy lifestyle. If regular ovulation is an issue, he will give oral medication (such as Clomid) to stimulate ovulation for six months, encouraging a natural pregnancy. If that is unsuccessful, injections or artificial insemination may be considered, as well as IVF and other advanced techniques. Polycystic Ovulation Disorder (PCOS) is a fairly common issue, especially in his Asian patients, and Dr Kan is highly skilled in treating this with oral or injected medication. For older patients, including those in their early 40s, Dr Kan may still recommend a more natural approach – but fast-tracked to ensure no time is lost. Australia has very high IVF success rates, despite having one of the lowest average number of embryo transfers. Thanks to the advanced technology and accessible funding available in Australia, more than one in 30 children born here are thanks to IVF treatment. Please be aware it is illegal to choose an embryo based on its gender in Australia for social reasons. However, we can diagnose genetic or chromosomal disorders in embryos if that is a concern, to ensure the best possible chance of success.